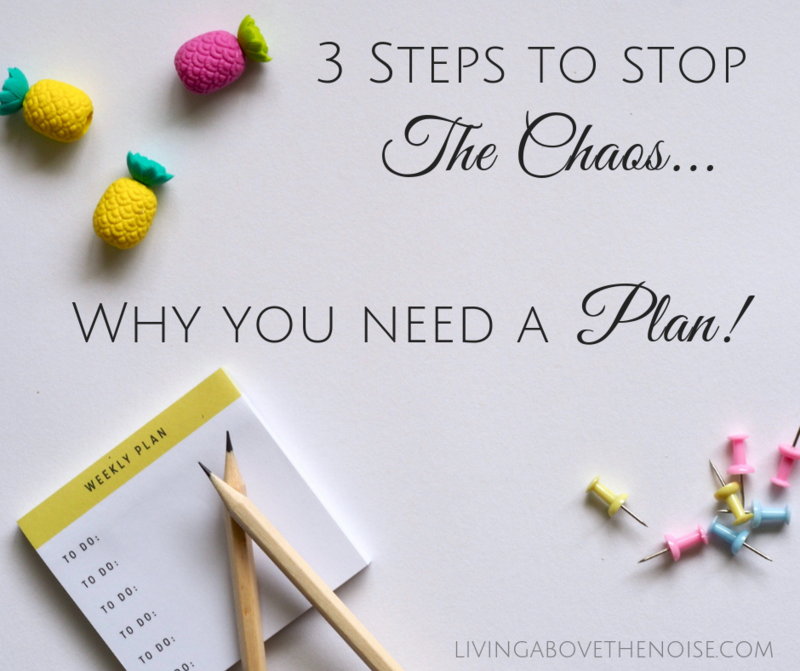 You are here: Home / House & Home / Home Organization / 3 Steps To Stop The Chaos…Why You Need A Plan! Thank you, Terry! Coming from a place of mental paralysis due severe overwhelm, I need to hear about planning, discipline and progress!! Oh, do I understand that paralysis! That’s why I decided to do a planner challenge this year. I really needed something to keep myself accountable and on course! And I knew there must be others out there who are struggling, too. I do hope this will help you find your “why” and discover the freedom of having a plan! I’m totally with you on this one. Keep in touch! Thank you for taking the time to write this fabulous post! Came at the perfect time! So glad you’re blogging again. You have so much wisdom to share…and I’m eager to receive it! Oh, Tamy, you encourage me so much! Coming back has been a huge decision, but I decided just I needed to. And with our crazy season of life — you know what I mean ;) — this planner challenge begged to be taken. Can’t wait to hear your perspective and learn and grow together! Hearing from you makes me smile! I think I understand your dilemma, Amy. When we grow past the season of raising our kids, where planning and routine were so necessary and almost imposed on us, it gets confusing. We were very much needed but now we have to adjust to being okay with meeting our own needs (and possibly be at risk of not meeting another’s needs!). I agree that throwing planning out the window so we can be available to whoever needs us isn’t a good plan :). I battle this all the time! Do I need to be always on call? Or can I have a plan for what I want to accomplish and actually say “no” to their needs? I will pray for you! And you for me, too, please! I know about that desire to write and I really am seeing my need to have a clear goal with a plan to get there. Yah, we sometimes need to adjust for those divine appointments, but I’m realizing more and more that others have their plans and so, it’s okay to have mine. Crazy to have to put that in writing, but it’s a real shift in our thinking. Thanks for sharing! Please keep in touch with how you’re doing on your goals and your writing! I have contemplated getting the Living Well Planner, but I am bad about not using a planner as well. I love the look and feel of them but end up letting them sit on my desk. I need to get better about using one this next year also. 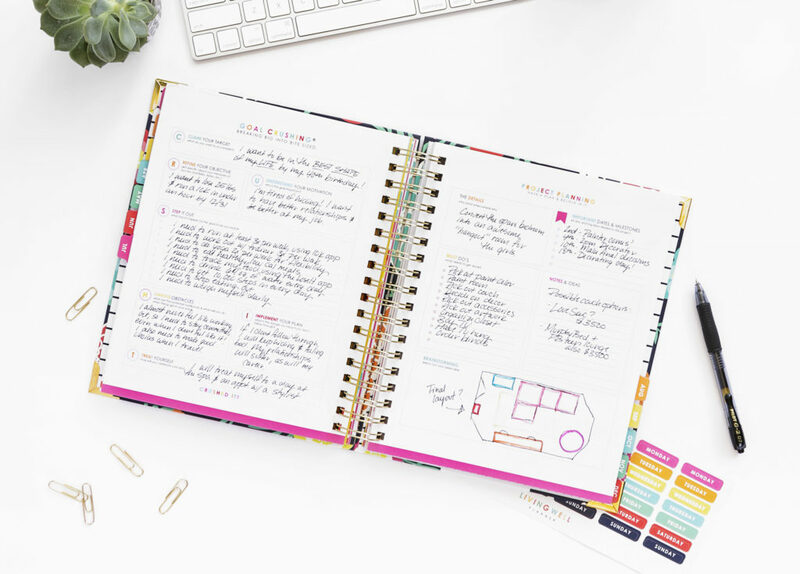 What do you think is different about this planner as compared to what else is on the market such as the Creative 365? Good question to a real problem! I completely understand your dilemma. I have tried and used and failed to use so many planners. Literally, over the last several decades I ranged from designing my own (both to save money and to create one that worked best for me) and purchasing several styles. But, in all that experimenting, I realize that I NEED to use a planner! As life has gotten more busy with adult children and their calendars, along with being more free as my kids have grown up beyond homeschooling, I really must have a plan! As the saying goes, “With freedom comes resonsibility”! Thus, my planner challenge this year. It was inspired to challenge myself to get organized and actually implement what the most productive people out there do to stay on track. But my readers tell me it’s their nemesis also. So we’re in this together! Now, to answer your question…I loved my Happy Planner. I chose it and used it for almost two years. I liked that it didn’t have the time written on the daily column. And I love how you can add pages (yes, I created my own planning sheets based on Ruth Soukup’s planning sheets ;) Overall, I recommend it. However, after really chewing on Ruth’s planner posts, I am finding that blocking out time slots really works! Literally, on one day alone, I was twice as productive simply because I made a commitment to a time slot, wrote it on my calendar, and then worked all my other responsibilities around that commitment! Wahlah! It actually works! 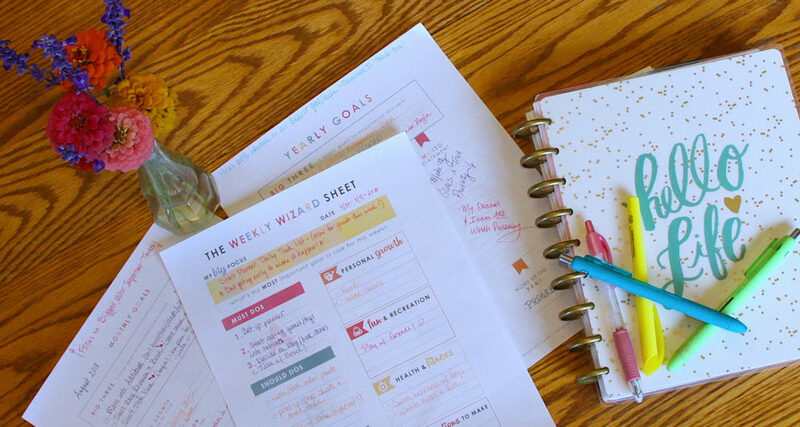 Plus, I really believe that her goal setting pages will help me stay on track with my goals. So…that is why I chose Ruth’s planner this year. I’ll let you know how I feel after this year, but I committed to myself and my readers to really do the work and see how it goes! PS – I think I’ll still miss being able to insert pages, but I found that I didn’t use most of them anyway. I find that monthly planning and goal setting right before each month’s calendar along with the weekly pages is enough for me. Hope that helps! Let me know if you have any more question. And thanks for writing!